Video preservation and digitisation is a pressing matter, and the International Association of Sound and Audiovisual Archives (IASA) has launched TC-06 to help guide you on the journey. As the world goes digital, many of us continue to operate in an environment that relies on physical video and audio tape formats to hold our moving image and sound collections. The problem is that technology obsolescence, and to a lesser extent, media degradation will render these collections inaccessible in a matter of years. This issue is well documented, and it is not going away. The urgency of this problem cannot be underestimated. 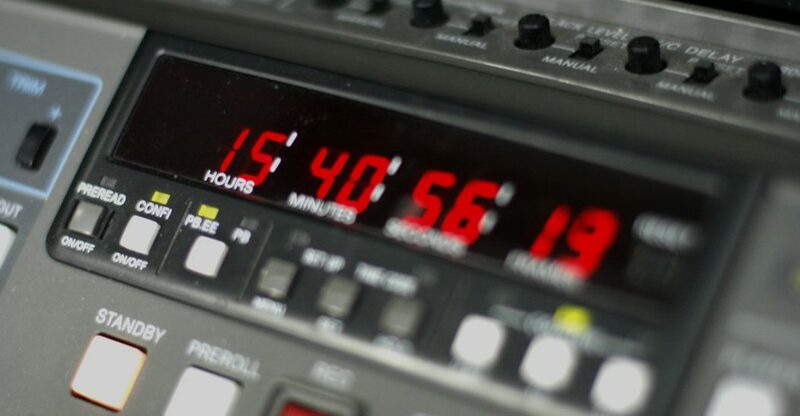 It grows in significance as each month passes and the availability of reliable professional playback equipment rapidly declines along with the skills needed to operate it. One of the hurdles to taking action to digitally preserve video content content has been a notable lack of formal consensus on what best practice digitisation for preservation actually consists of. It must be said that despite this uncertainty, many organisations around the world have started on the preservation path, digitising their video collections – but many have not. For audio preservation, IASA released the TC-04 Guidelines for the Production and Preservation of Digital Audio Objects in 2004. This set the standard for the best-practice approach for digitising sound recordings from physical audio formats like an audio cassette tape and ¼-inch audiotape. At the same time, there have been several publications over the years that have attempted to address digital archiving of moving image such as Memoriav Recommendations Digital Archiving Of Film And Video. Broadly speaking, these approaches to video preservation never garnered the full backing of the AV community. For this reason, the recently released draft of IASA’s TC-06, Guidelines for the Preservation of Video Recordings is timely. IASA is a leading international association for audiovisual preservation professionals, and it is at the forefront of standards development for the AV preservation. Despite best efforts, TC-06 has been a long time in the making as it relies on contributions from its members, volunteering their time and knowledge to develop the standards. TC-06 was developed as a collaboration of industry thought leaders and professionals from around the world, including our very own DAMsmart Operations Manager, Andrew Martin. Conservation treatment and retention of original physical materials. Digitising or digitally transferring content into the form of sustainable digital data, or acquiring born digital content already in sustainable digital form. Management of digital data over the long term. TC-06 focuses on area 2, the digitisation process. So, what’s the purpose of TC-06? It is intended for audiences from different backgrounds, from those who have little video preservation knowledge or experience that are looking for guidance through to professionals interested in aligning with best-practices and emerging standards. It’s important to note that TC-06 is in draft form only at the moment. The draft document has been released for what is effectively “peer review”. We are looking for constructive feedback to address any areas that may need bolstering or reviewing. All comments are welcome! It is not a requirement to be a member of IASA to review and comment, however, I would also encourage membership, as the IASA community of professionals are thoughtful and giving in their broad range of expertise. The first edition of TC-06 centres around optimum signal extraction and subsequent digitisation of analogue and some digital video formats with the focus on preservation of the content. The 2nd edition due for release in 2019 will detail preservation of digital video file formats, and data extraction of digital video tape. In section B of TC-06, the document details the fundamentals of the video stream itself, ancillary data, preservation formats and comparison of appropriate formats like Lossless JPEG 2000. Section C focuses on the following formats: 2 -inch reels, EAIJ and Sony CV reels, 1-inch reels, U-matic videotapes, VHS and Beta domestic, and Betacam family videocassette. This section of TC-06 describes the makeup of a videotape, the condition issues that impact the physical videotapes as well as remedies to resolve the problems. The guide delves into each of the above formats and describes the physical nature of the above tapes and discusses the playback process and equipment to optimise replay. Finally, section D provides a broad overview of what is needed to undertake a video digitisation project. It describes practical planning advice for readying your collection, and the workflows and signal path requirements to optimise the video digitisation process. What does all this mean? Well, TC-06 is not a definitive “how to guide” that lays out a detailed architecture for video digitisation and nor does it tell you what you “have to do” when it comes to digitising your content on videotape. Like TC-04, this is a guide to help you understand the videotape landscape. It offers expert insight into the nature of different formats of analogue videotape. It guides you through the available best practice approaches to digitise videotape. It is a technical document but purposefully and thoughtfully written in away that, for the most part, is still meaningful and understandable by those of us that do not come from a technical audiovisual background. TC-06 will leave you appreciating the significant technical nature of videotape digitisation. 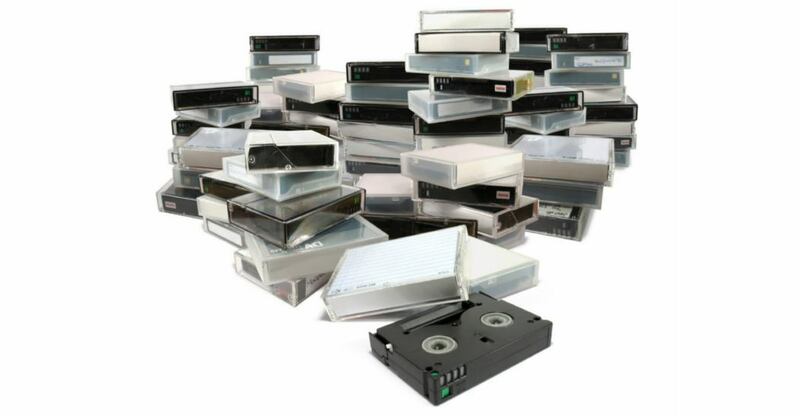 After reading it, you will have an understanding of the knowledge, technology and experience that is needed to safely and confidently preserve the content in your videotape collection. For our part, DAMsmart has been involved in the development of TC-06 since the beginning. Back in 2011, DAMsmart was invited to be one of the principal authors on the TC-06 project. Specifically, the chapter relating to Signal Extraction from U-matic Tape. Andrew took up the task to contribute on behalf of DAMsmart and went on to also contribute to the development of the chapters relating to 1-inch video, 2-Inch Quad and Betacam. Beyond the format specific chapters, Andrew also collaborated with Carl F and Kevin B to write Section D: The Planning, Setup, and Workflows for Video Digitisation. There have always been hurdles to digitising content on video, it can be an unwieldy beast. Digitisation goals can be achieved in many ways depending on resource, money, and the availability of expertise and equipment. TC-06 is written with the notion that videotape digitisation is not an exact science, and there is not one exact method for achieving preservation digitisation. There are however definitely inferior and inaccurate methods of digitisation that will put your content in danger. TC-06 will arm you with the information you need to make the right decision about how to digitise and preserve content in you video collection, whether you undertake the project internally or look for a partner to help you. If you have a videotape collection, check out TC-06 today. Then act to save your collection before it is too late. The losses are mounting with every passing month. Related: Here are the top 3 factors to consider when prioritising for video digitisation.